A lot of people use Facebook but finding the balance between privacy and Facebook fun can be challenging. It allows us to connect with friends near and far but also it publicly shares information that just a few years ago, we’d never dream of putting online. With a Facebook search you can look for people based on where they went to school, town they live in, clubs they belong to, who they’re related to… but when is it too much information? Your birthday is the first piece of info collected by Facebook when you sign up and it is great getting birthday wishes from friends and family when it appears in their news feed. But while your friends are sending you balloons and funny memes, your birthday is now public knowledge. It may seem harmless, but when you call your bank or other institution, what’s the first question they ask to verify your identity? Your birthday! Some companies and organisations even ask questions like ‘which high school did you go to?’ assuming this is knowledge that only you would know. Except… a lot of people have publicly shared it on Facebook. Whoops! Then there are the stories of people who have lost their jobs after less-than-wholesome pictures or comments have gone public. If you want to protect your reputation, you may not want pictures from last weekend’s private party showing up online. While you can’t control what others do with photos they take of you, you can control whether or not you are tagged in Facebook in them. Fortunately, there are settings in Facebook that allow you to control who can see what information and what happens when you’re tagged in a photo. 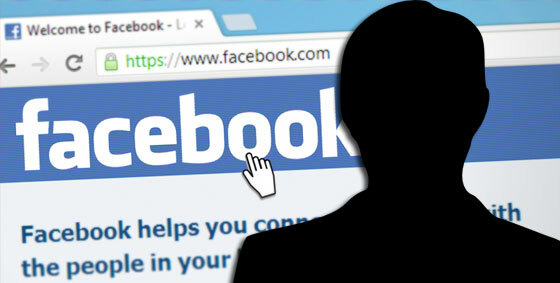 Despite what rumours you may have heard or seen floating around, you do have complete control over your Facebook privacy and it is easy to adjust. Here are some settings you can easily change within Facebook to help secure your privacy and see who can see what on your profile. These steps assume you are logged into Facebook via a browser (using an app on your phone or tablet may be different). From your Facebook homepage, click your name on the blue bar at the top of the page. Click the three dots next to ‘View Activity Log’. To run a checkup click the question mark in the top right corner of Facebook and choose the ‘privacy checkup’. Facebook then guides you through a few steps showing what your main settings are. From within this section think about what you really need to share. For example do people need to know the YEAR of your birth or just your birthday? You can hide the year and your friends will still get the notification. While the above checkup covers the most obvious information you can delve much deeper via the privacy section. Click the V-shaped drop down to the right of the question mark and go to settings and select privacy. In the privacy settings (mentioned above), you can control who can tag you, who can see or share the tagged content and what shows up in your news feed. I hope that explains about privacy and allows you to go in and change the settings to what you want and not what the Facebook defaults are. Tightening your Facebook privacy only takes a few minutes, but it can save you a whole lot of trouble in the future. If you need help with this, just give us a call on 08 8326 4364 or via email at support@dpcomputing.com.au. How do you balance being social with staying safe online?? These days it is common for people to happily share all sorts of their private information online. Unknown to the actual users this sharing builds information stores that can easily become a one-stop goldmine for fraudsters. It’s not exactly the intention everyone has when they sign up to a social network site (as the whole point of most of their networks is to share your life with your friends) but this social sharing depends on us making certain privacy sacrifices. On Facebook alone, the average person shares 13 pieces of personal information ranging from a fairly innocent name/email combo, all the way to their mothers maiden name and home address. Even checking in at home has become the norm for some people, helping to create a multi-dimensional online identity. The details are available to anyone who cares to look, whether they’re a friend keeping in the loop or someone with a much darker agenda. The problem is that you don’t know who’s looking at your profile or why they are looking. For example, someone could try accessing your email account by clicking the ‘Forgot password’ link. The email service follows its security rules and asks identifying questions like ‘which high school did you go to? What is your pet’s name?’ These most common identifying checks and their answers are probably available on a lot of peoples Facebook page. 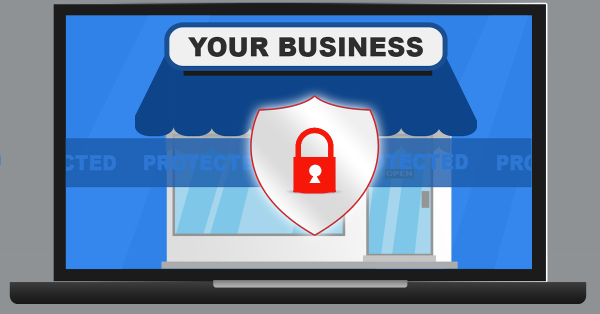 Once your email address is compromised, hackers can use that to break into other services by going through, clicking ‘Reset Password’ on site after site, account after account – since they have full access to your email. So there’s nothing stopping them from compromising all your online accounts. Preview your profile as others see it (ie see if you can login on a friends account to see what they can see). Review what should and should not be visible to strangers. Consider only sharing partial details, like birth day and month, but not the year. Only ever ‘friend’ or ‘connect’ to people you know and trust. Be wary of duplicate or ‘odd’ friend activity – hackers will often clone or hack a friend’s profile and initiate an urgent and uncharacteristic request (usually for money). Update your past privacy settings too. Set default future sharing to ‘friends only’. 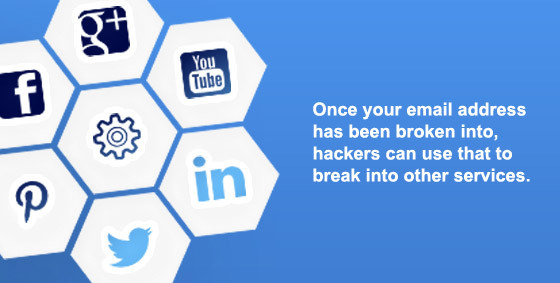 Need help securing your social media privacy? We can help– contact us today on 08 8326 4364 or via email at support@dpcomputing.com.au.